Deborah Bonham has a charity gig with Paul Rodgers plus a full scale tour lined up to coincide with the relase of her excellent new album Spirit. Please make cheque payable to Willows Animal Sanctuary. Please include a stamped addressed envelope if possible. Please send us your Paypal address for us to send you Paypal payment request. Signed Memorabilia auction items and lots of merchandise on sale from Led Zeppelin, Paul Rodgers, Fleetwood Mac, Steve Cropper, Bad Co, Les Paul and more, so please bring your cash and cheque books! 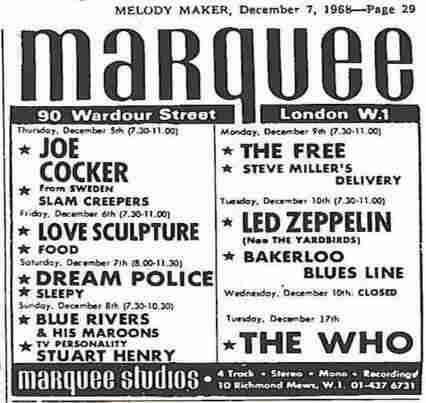 It has been reported that Led Zeppelin are one of the acts in contention to be in the first wave of inductees into the Music Walk Of Fame honoring music greats, each of whom will have a large disc marker on a thoroughfare in the Camden area of North London. The honorees will be divided into five groups: innovative artists, influential artists, icons, unsung heroes and music industry heavies, and the inductees will be selected from a worldwide pool – not just Brits. Music Walk Of Fame founder Lee Bennett approached The Hollywood Chamber Of Commerce, which runs the Hollywood Walk Of Fame, to propose the partnership. He promises that each round of inductions will be accompanied by performances, tributes to posthumous artists and reunions of since-disbanded groups. A committee of global industry figures and local community members are working on shortlist of nominations for the first 30 plaques. The list will go to a decisive public vote on the Music Walk Of Fame web site in May. If you want to contact us about any TBL related topic ,there is now a link to go to send a direct email to the Dave Lewis /TBL email –of which I will endeavour to provide a speedy answer. Alongside the right hand product banners there are also drop down boxes to order TBL products. The categories include TBL 34, Back issues and Books and T Shirts. 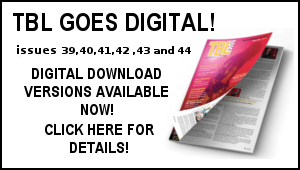 If you are new to the TBL magazine or have missed out on previous issues, now is the opportunity to catch up. The 3 TBL back issue Starter Pack – issues 26, 29 and 33 at a bargain at just £8 – plus postage and packing. This is a great value way to get acquainted with the TBL magazine – 96 pages of prime Zep reading all for just £8 plus postage. . Hurry as this is a limited offer. If you are new to TBL or have missed out on the recent issues, now is the opportunity to catch up. You can by the current issue 34 and the previous issue 33 together for just £7 plus postage. Just to bring you up to date. The TBL magazine back issues available currently are issues 26, 29, 32, 33 and 34. I am planning a full scale re issue programme at some point ahead. 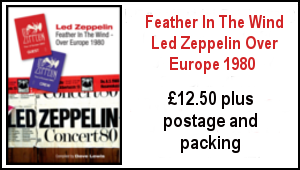 The Feather In The Wind, From a Whisper and Concert File books are all in stock. The Feather In The Wind t shirt has now sold out – I do have extra large left of the Earls Court 35th anniversary shirts. Don’t forget all 2012 TBL subscriptions ended with issue 34. So you need to re subscribe for the 2013 issues which cover TBL 35, 36 and 37. This is the current TBL book project which I am working on now – with publication for later in the year. This is a major revamp of the first edition – in effect it will be a new book. All pre orders are logged and will be fulfilled with the lowest numbers in the limited edition being allocated as pre ordered. So that’s a summary of where we are at right now. Many thanks for your patience and support. 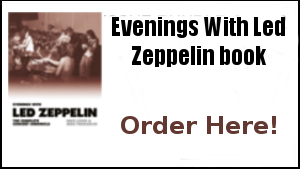 Thoroughly enjoyed the Hats Off To Led Zeppelin gig at Haynes International Arena (ok Village Concert Hall.) It was an excellent turn out and very good atmosphere. The TBL word was spread and we sold a few items along the way. To paraphrase the rock journalist/film maker Cameron Crowe. ‘’To any band who ever needed a surefire cover song, or any musician looking for clues on how to mix textures, cross musical boundaries or just plain rock, there’s no substitute – play Led Zeppelin’…and Hats Off To Led Zeppelin do indeed play Led Zeppelin and very well indeed, as was proved again at Haynes last night. 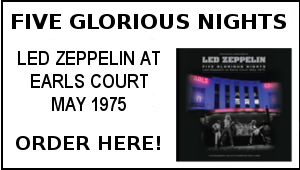 They do it with a refreshing no nonsense approach, giving the audience exactly what they want in short sharp attacks of the Zep cannon – none more impressive than their total demolition of Wearing And Tearing. 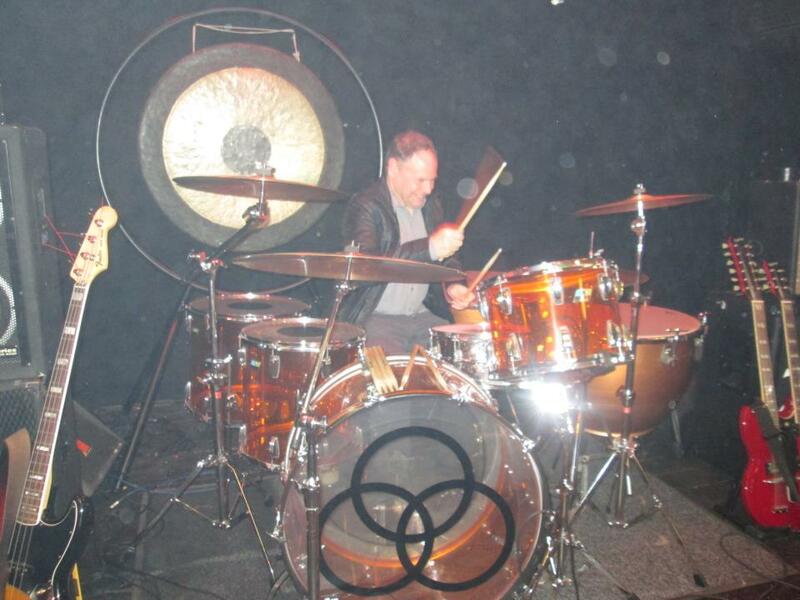 If you are looking for a band playing Led Zeppelin…this one delivers every time. Hey and they let me jam on the drums afterwards! Also naturally enjoyed Spurs 2-1 victory over Arsenal and last night’s empathic win over Inter Milan…Liverpool beckon at Anfield on Sunday – another difficult one. On the playlist – Mr Bowie previously mentioned notably the Rare Bowie vinly LP on RCA, Zep Throwing The Wild Seeds Valentine’s Day 1975 set and a trawl through Coda on cassette –oh yes… bit a quirky one here, though I am more a man of the bike…I do drive Sam to the station every morning for her to get the train on St Albans. 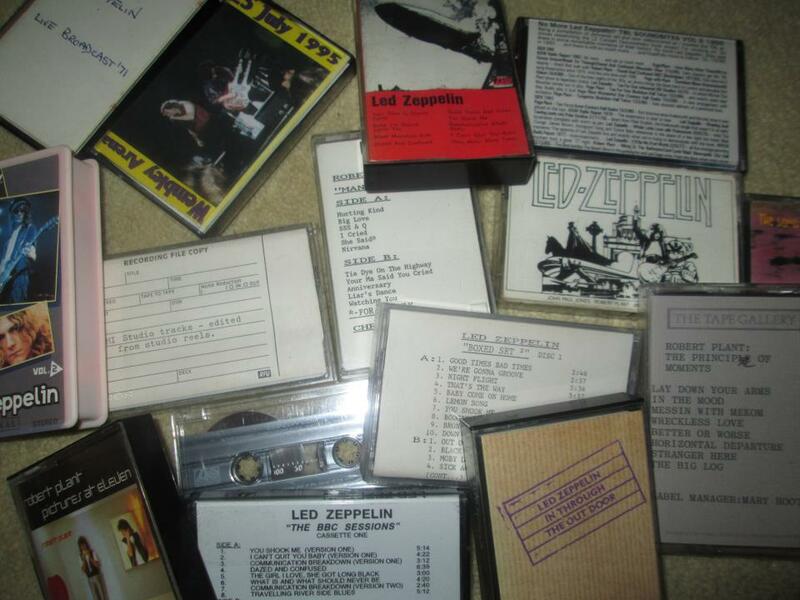 Our little car has never been CD’d up but it does have a cassette player and I’ve recently taken to snapping in the odd cassette – of which Coda and Led Zep 1 sounded mighty fine this week. The cassette revival starts here! Here’s a randon selection from the loft (including some nice promos) that I’ll be lining up..hey cassettes are the new downloads! There has been some intensive work on the Knebworth updated text, the update of the TBL web site, another quick Zep project that needed to be signed off not to mention a curve ball or two to contend with. Ahead there will be yet more full on focus on the Knebworth second edition. Tonight I will be clocking the BBC 4 music line up tonight which is right up my street (and more than likely yours too!) Totally British Rock’nRoll’ Roll 1970 to 1974 with clips of Free, Humble Pie, The Faces etc followed by the Ballad Of Mott –a documentary about the great Mott The Hoople. Oh dear. Just when many of us hoped Robert would call his Strange Decisons Tour ‘a day’ in New Zealand in Apil, now the next leg continues back into the U.S in July. Give us a break Robert,try fulfilling on that hint for ‘2014’ and do yourself and your loyal fans a favour for goodness sake.The point has been proved already ! The Mott The Hoople documentary was fantastic last night. Great interviews and footage. Loved hearing Mick Jones from The Clash talking about bunking off school to follow the band around the UK. No doubt their “non-superstar, regular blokes” attitude is connected. Well done BBC4. 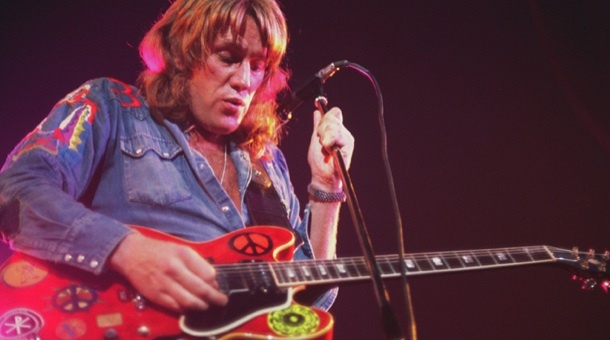 Thanks Dave for the mention of Alvin lee passing,i always thought TYA underrated and Alvin himself very underrated.As you say another great gone.I find myself in a very sombre mood, will we see their like again?